JMVA Ltd, owned and managed by Jill McLachlan. 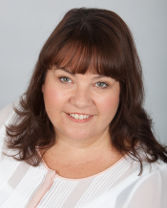 JMVA was founded in 2009 after Jill; who had been working as a Senior Executive Assistant, decided that a change of career was needed, after looking at various options she came across the Virtual Assistant Industry and decided that this was what she wanted to do. After successfully completing her VA Mastery course she researched the various business tools required for running her own business, in January 2009 Jill became self-employed and JMVA was born. Jill has been providing secretarial and PA support for the past 15 years and at a senior Director/CEO level for the past 8 of those. Jill’s experience has given her a valuable insight into the Construction, Manufacturing, Moving and Corporate Relocation industries. She has developed a good understanding of the organisational requirements of Senior Vice Presidents and CEO’s of large companies as well as working with smaller family businesses. 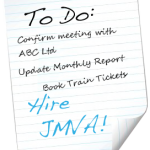 At JMVA we pride ourselves in providing an excellent service to all our clients, regardless of how many hours they use us each month. My passion has always been to help people and by providing Virtual PA services to the majority of my clients allows me to realise this. Our clients include individuals and organisations from a wide range of industries, below are just some of these clients who we are working with. Please refer to our “Services” page for examples of what we provide to those listed below and can also provide to your business.